If you need to replace your countertops but want to avoid paying labor costs, installing a laminate countertop may be the project for you. Available in a variety of colors, textures and patterns, you can find laminate counters to fit any design style – from traditional and farmhouse to urban and contemporary. On top of that, laminate is a recyclable, environmentally responsible material. Formica created the first laminate surfacing materials back in 1913 and today the brand is such a household name that many people call all laminate “formica.” We talked to Gerri Chmiel, Formica’s Senior Residential Designer, to get expert tips on how to install new laminate countertops yourself. Selecting a new material is often the most difficult aspect of replacing countertops. To help you decide if it’s the right choice, we asked Chmiel for the top four reasons to install laminate countertops. Versatile: There are more colors, patterns and finishes than any other surfacing material, which means that there truly is a laminate pattern for every taste. Options include solid colors, graphic patterns and the look of natural stone. Easy to clean and maintain: Laminate does not require special cleaning products or annual resealing. Simply wipe off the mess and go! Simple to install: You have the freedom to hire a pro or do it yourself. Affordable: Installed granite typically costs roughly $120 per square foot, while Formica laminate costs just $14 to $38 per square foot. Formica countertop installation is a DIY project that makes a big difference in your kitchen. 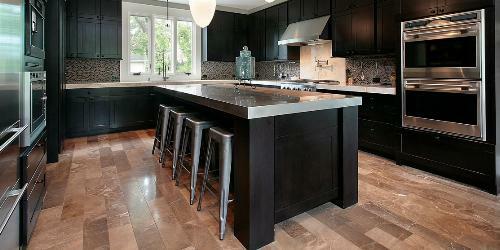 "Installing a laminate countertop is easier than most because of the relative light weight of laminate counters. Also, your typical homeowner will have the tools needed to install a laminate top, where they won’t with granite or quartz." Ready to replace your laminate countertops yourself? Read on for Formica’s countertop installation instructions. Many manufacturers sell pre-cut laminate countertops, which are the easiest to install yourself. For best results, ask the manufacturer to cut the countertop corners. Miter cuts for inside corners are extremely difficult and best handled by a professional. Your dealer should also be able to predrill the fastening-bolt slots underneath. Once you’ve got your preformed countertop, you’ll need to gather your tools. Now that you have your tools and materials ready to go, let’s learn how to replace your countertops. Measure your cabinet depth. Measure from the back wall and account for your desired overhang. The standard overhang length is 1 ¼ to 1 ½ inches, but this can vary for dine-in kitchens, handicap accessible countertops, etc. Measure your backsplash height. Your new laminate counter will need to remain below outlets, window trim and other objects mounted to the wall. Make sure your backsplash will cover unpainted areas. Measure your countertop length. Add your chosen overhang to this measurement if desired. Measure levelness of your walls. Use a level and framing square to check if your walls are straight and meet at 90 degrees. If you find a little bow in the wall, don’t worry. You can typically trim the countertop to fit. Also note the locations of your sink, stove and refrigerator and include measurements of any necessary cut-outs for quick reference later on. For countertop areas that won’t be fit to the wall, make sure to indicate where laminate end caps will be needed. Before you bring in the new laminate, you’ll need to remove the old countertop and make sure the area is clear and safe. For detailed countertop removal instructions, check out our related post: How to Remove Countertops. If you need to make adjustments to your preformed laminate, grab the sketch with all your measurements and take the following steps for cutting Formica countertops. Wear safety goggles and proper protection to avoid injury. Lay the countertop on a stable surface with the laminated side facing down. Secure the countertop with clamps. Place masking tape along the cutting area to avoid chipping. Measure the desired length with a tape measure. Make a straight cutting line over the tape using a pencil and a square leg. Align the inside edge of your circular saw blade with the line and cut carefully. Sand or file after cutting to ensure a smooth surface. To attach the countertop to base cabinets, you’ll need to prepare the surface for installation. Check to make sure the cabinet drawers will clear the edge of your new laminate countertop. If not, measure the additional clearance needed. Next, cut buildup strips to install at each corner underneath the counter. Screw down the buildup strips and predrill holes to easily attach the countertop later. Set the countertops in place and test the fit. If you notice a gap along the wall, use a compass to measure the width and scribe a line along the back edge. Remove the new countertop and use a belt sander to sand the edge of the countertop for the best fit. To secure the countertop to the cabinets, use a power drill to attach the buildup strips to the new laminate. Double check the thickness of the countertop and buildup strips to determine the correct nail length to use. To join the miters beneath the countertop, apply the manufacturer’s recommended amount of adhesive. Install the miter bolts and tighten. If necessary, use a mallet and a scrap piece of wood to tap the seam until even. To seal the joint between the countertops and walls, use a caulk gun and a matching caulk to make an even line. Once everything is attached, use adhesive to attach return splashes where the counter meets the walls and end trim to cover exposed edges. If necessary, file any rough edges. First, let’s reinstall the sink. You’ll likely need to make a few cuts to drop it in place. To make a cut-out for your current sink or range top, you can use your old countertop as a guide for measurements. To install a new sink or range top, a template typically comes in the box with dimensions. If you’re working without a template, center your sink or range upside down on the new countertop and trace an outline. Place masking tape around the edges of your line to protect the countertop. Drill starter holes into each corner to ease cutting. Cut out the piece of laminate. To keep it from dropping, you can attach a piece of scrap wood beneath the countertop to prop it up. File the edges until smooth to avoid splinters during installation. 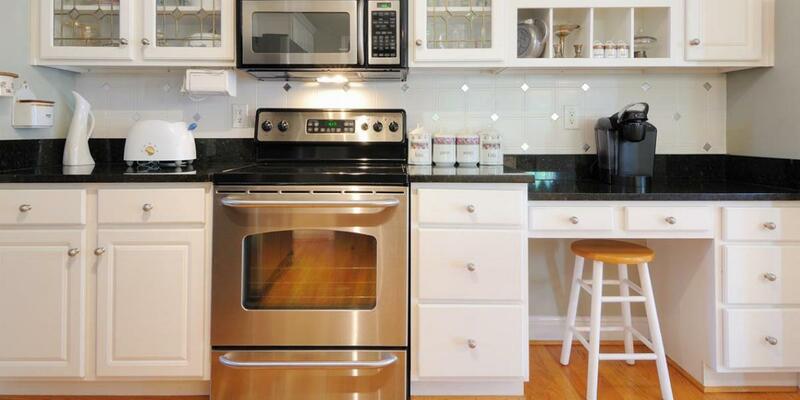 Now you can bring in your refrigerator, stove and other countertop appliances. And voila – your kitchen countertop installation is complete! Now that you’re done installing your new laminate countertops, it’s time to finish up the rest of your kitchen. Whether you want to replace your sink and faucet, add a fresh coat of paint or incorporate the latest kitchen trends, visit the For the Home section of our blog for more tips and tricks. Are you planning a kitchen remodel? Let us know what projects you’re tackling in the comments below! Replacing your countertops is an easy DIY project that can dramatically change the look and feel of your home. Before you pull out the prybar, read our countertop removal guide with expert tips from Mr. Handyman. Ready to look at your house and see more than an outdated wood wall? 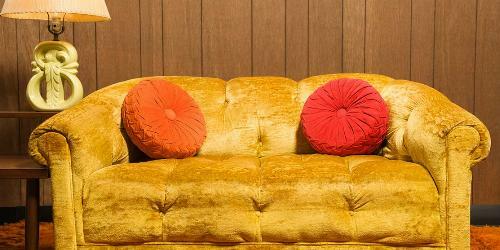 Learn how to remove wood paneling yourself and reclaim your space for something new.